If the records do not lie, I was a colleague of Michael’s at the Institute of Public Policy Studies, predecessor of the Ford School, for a mere 5 semesters in 1973-75. Thinking about that today, it is incredible to me that our time as actual colleagues was that short, considering the durability of the connection formed. We had offices on the same hallway in the IPPS quarters on East Liberty Street. We had in common our enthusiasm for the IPPS mission and for the Carnegie School traditions that strongly shaped it. 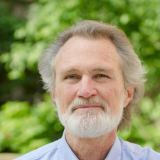 We had other shared enthusiasms � such as the idea of using computer simulation as a vehicle for theory, and also the aspiration to do interdisciplinary social science. Leaving Ann Arbor was painful for many reasons, but the truncation of the developing relationship to Michael was a major one. Fortunately, we encountered each other in a number of conferences and workshops over the years, and especially so in recent decades. This was largely because of our shared interest in organizational routines. There were several small workshops of the kind where serious interdisciplinary conversation could take place. These events were held in a number of not-so-bad locales, such as Santa Fe, Laguna Beach and Nice,—not to speak of Ann Arbor and Philadelphia. I recall these occasions with special pleasure and gratitude. I remember Michael’s great value as a participant in such conversations, and particularly his talent for expressing skepticism in a helpful way. He would identify the logical weakness, the parochialism, the overstatement, or occasionally the ignorance, in a presentation or argument. As he did so, you saw the fabric of his character in one single piece � the fabric woven of the high intelligence, the learning, the serious-mindedness, the ever-constructive attitude � and then, always, the generosity, the gentleness and the humor. Or perhaps I should say, the playfulness. There was that twinkle of laughter and enthusiasm that frequently came into his eye. It said, �I’m really enjoying this and I trust you are enjoying it too.� That image is the one that will always be with me when I remember him. Certainly I followed his guidance in many other domains, and particularly on the individual psychology of organizational behavior � a topic on which I happen to have a Michael-inspired, and strongly Michael-assisted, paper forthcoming. The last of that valuable assistance was received from him in the now long-ago month of December. To manage the problems, we need of course to understand the relevant problems and their complexities. In his teaching and research, Michael helped in building that detailed understanding. But is that enough? Isn’t the fundamental problem that we actually have need of �a better class of human beings� to make this planet the garden that it could be? As a solution, that may be close to �assuming a miracle�, but not quite. History has shown us some examples of that �better class�, and the collective power of such examples shapes the future. Michael is one such example—but now we have lost him to a problem that is not self-inflicted, and not yet in the class we know how to solve.